In medicine, the most important bond between a doctor and the patient is TRUST. We understand that idea and we know that it is something that needs to be earned. Our staff and doctors will make it a priority to understand your eyes, not only in a visual sense, but also in terms of your ocular health. Using the latest advances in eye care, we will be able to monitor and protect your vision and the health of your eyes. Plan on being in our office for about 45 minutes to an hour on average, however there are many factors to consider. First time eye exams and contact lens exams will generally taker longer. Any special testing may also increase your time in the office. Why do your “comprehensive” exams take so long? My previous one was only 15 min! Truthfully every doctor does things a bit differently, but in all honesty, these are your eyes. Do you really want your exam to be so fast that it compromises the quality of the exam? We care about our work, and we hope that it’s quality that you’re looking for. We will do our best to give you the most comprehensive exam that we possibly can. While your glasses and contact lens prescriptions are an important part of the eye examination, they only address your visual acuity and not your ocular health. Most ocular and systemic diseases go undetected until the late stages because patients do not have any symptoms. We believe that maintaining great ocular and systemic health helps you preserve great vision for life. Do I need a dilated eye exam? Short answer is yes! Do you need it every single time you come in? Probably not, if you have completely healthy eyes. Think about looking into a room through a keyhole versus looking in a room with the door open. It’s a night a day difference in what you can see. Some doctors are now using wide angle retinal photography in lieu of dilation. We feel that those photos are a fantastic tool, that works even better when a patient is dilated but should not routinely replace a dilated eye exam. We understand the inconveniences of being dilated, but it is still the gold standard of a complete retinal evaluation. 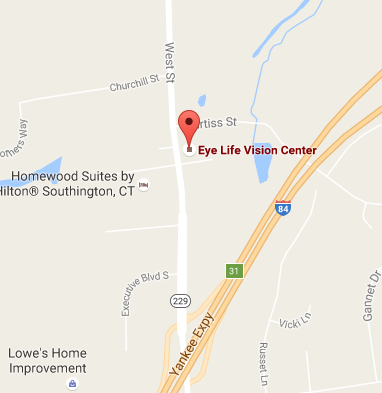 What if I have an emergency and need to see an eye doctor right away? We are here for you and will accommodate same-day emergency patients. However, we can’t promise you won’t have to wait just a little. Will I be able to drive home after the exam? In many cases, your eyes will be dilated for your exam. If your eyes are dilated, your near vision may be blurred but your distance vision with correction should be fine for driving. Your eyes will be sensitive to light so we suggest you bring your dark sunglasses, otherwise we will provide disposable tinted inserts. The bottom line: gauge your own comfort while driving dilated. If you are worried, then we highly suggest you bring someone to drive you home. Yes, there is a $25.00 cancellation fee that will be processed for appointments not canceled within 24 hours. That fee however, will be credited back if you reschedule within 2 months of your cancellation. What forms of payment do you accept in the office? We accept cash, check, credit cards (Visa, MasterCard) and FSA cards. Please check out our billing and insurance page for detailed information about insurance coverage. If there are any questions that were not answered, please do not hesitate to contact us.